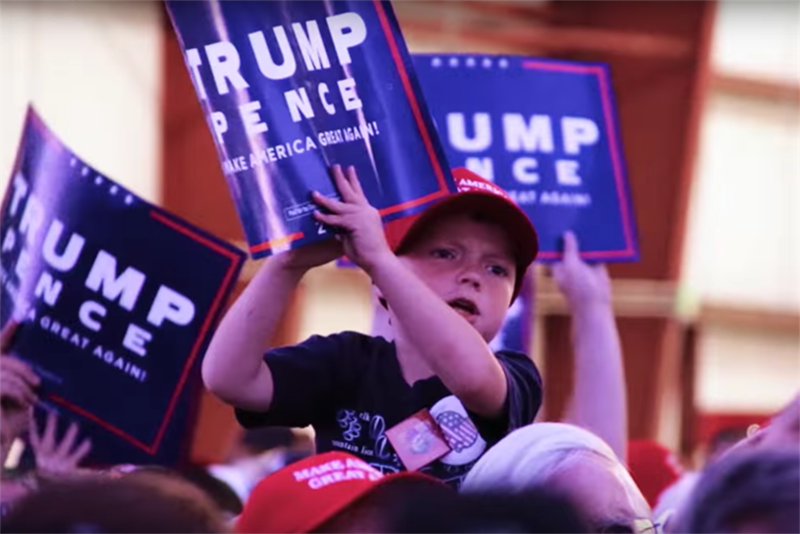 The president-elect's closing ad used emotional cues in abundance, while Hillary took a more quiet, confident approach, writes the founder of HonestAds. For those who thought "hope and pride" were two stronger emotional forces than "fear and anger," this election proves you were mistaken. This was not a traditional presidential election, but the candidates' two closing ads came out in a historically typical way. The upstart—Donald Trump—appealed to fear and anger with his aptly titled ad "Donald Trump’s Argument for America" while the "incumbent"–Hillary Clinton–put out a message of hope and pride with an ad titled "Tomorrow." Over the past two decades, neuroscientists, psychologists and political behaviorists have recognized that we feel before we think, that we are predisposed to our political choices and that we make decisions on emotional levels that fly under our own personal radar. No, we can't be directed like robots, but we can be influenced and, ultimately, persuaded in ways we may not be comfortable acknowledging. Fear, anger, hope, pride: pulling at the heartstrings is far more compelling than a list of statistics or complex detail, something Trump understood all too well. Politifact's Truth-O-Meter numbered his deceptive statements in the range of 70%, with Clinton around 25%, the latter being the usual for most politicians. To aid persuasion, there are the rationality-defying creative tools of audio, visual and motion. These result in the patriotic or anxiety-inducing music, the carefully selected imagery, the unflattering camera angles of the opponent. Also cueing your emotions are six techniques that are meant to move you manipulatively over to that specific candidate's side. Having reviewed hundreds of the best broadcast political ads since 1952, yours truly has categorized these techniques into six groups: association, confusion, contrast, omission, repetition and transformation. The closing Trump ad uses these in abundance, while Hillary took a more subtle, quiet, confident approach. Association links the candidate to something or someone you emotionally connect with from personal experience. Hillary used association as a positive technique. In her ad, she sits looking directly at you (I’m honest) with a traditional living room softly in the background (She is safe; one of us). She is wearing a nonpartisan white, rather than red or blue, reaffirming that she is "for all of us." White also signifies purity, new beginnings, sincerity and—for history buffs—white was the color of the American suffragette movement. Trump used association as both a positive and a negative. To designate "the corrupt establishment," his ad shows bundles of money, the symbol of the Federal Reserve, a futures exchange, cold high-rise buildings, Wall Street, empty American factories versus busy overseas ones, evil elites ... while, on the positive side, there are single head shots of diverse Americans, the people he says can stop the machine and the corrupt establishment. Confusion ignores the real concern and replaces, juxtaposes or makes inferences so you are distracted from the original concrete issue. Candidates may confuse you about their own stands or confuse you about those of their opponents. With the internet turning fiction into facts, it can be difficult to know what is actually true anymore. According to a story in the New York Times, Buzzfeed did an analysis of top political pages on Facebook that showed "right-wing sites published false or misleading information 38 percent of the time, and lefty sites did so 20 percent of the time." Where is America today? Clinton's ad tells us we can fix things, that our "best days are ahead of us, and we all have a role to play ... we can make history together." Hope and pride. Trump says we can fix things by "replacing a failed and corrupt establishment [who has bled our country dry] with a new government controlled by you, the American people..." Fear and anger. Trump used the techniques of contrast, omission and repetition throughout his campaign, and Hillary did as well. Trump's closing ad has multiple quick cuts of contrasting images, conclusions without referenced sources to back them up and phrases we have come to expect when he is on message i.e., "corrupt political establishment, disastrous trade deals, massive illegal immigration, economic and foreign policies that have bled our country dry ... robbed our working class ... the only force strong enough is you ... we will take back the country and we will make America great again." In opposition to Trump, Hillary stays in one spot with a camera focused solely on her "talking head," a sincere-looking candidate, leaning forward and speaking directly with the potential voter as she makes eye contact and makes her case. Like Trump, she reiterates the phrases she's used through the campaign and reminds us that she doesn't quit and will work her heart out for everyone. Contrast uses opposing elements to clarify and drive a point home based on actual or perceived differences. The contrast can be real or it can be deceptive, for example, taking words or photos out of context or simply comparing nonexisting facts. Omission ignores the key parts of a story that weaken the candidate's case and, sometimes, even adds unrelated information to strengthen it. Repetition shows and says the same thing over and over again so that it becomes "sticky," gaining traction and becoming believable over time or quickly over the internet. Repetition increases impact and aids memorability. Transformation uses all the creative tools in the visual and audio arsenal to alter a person, situation, comment or image so that it is changed to seem like something it actually is not. In watching the ads, you can decide where transformation exists. Is it only in the eye of the beholder (in this case, you, dear reader) who may have been predisposed to one candidate or another? Be aware: The Supreme Court has consistently ruled that political advertising is governed by First Amendment free speech, making it legal to lie in national political advertising. If you mix deception with the persuasive emotional tools and techniques at the politicians' disposal, you are up against a powerful combination—one that can truly challenge every voter's objectivity, including your own. If you knew nothing about either candidate and only watched these ads, which of these "closers" would have gotten your vote? Hillary won the popular vote, but Trump triumphed with the Electoral College. The last time that happened was with Gore and Bush. Do you think now, Trump will do a bait-and-switch and go from fear and anger to hope and pride? The next four years will tell the tale.